How do we end the ongoing hostilities between black and white Americans? This vital book considers the compelling and addictive hold that racism has had on centuries of Americans, explores historical and contemporary norms complicit in the problem, and appeals to the U.S. government to improve race relations, rectify existent social imperfections, and guard against future race-based abuses. Despite an assertion by the founding fathers that "all men are created equal" and the Fourteenth Amendment to the U.S. Constitution that guarantees "equal protection," the race-based oppression that has characterized most of America's history shows that in practice our society has rarely measured up to principle. Why has deep-seated racial conflict in America continued for so long? This unprecedented examination into the topic explores the evidence and consequences of what seems to be an "addiction" to racism in the United States, analyzing the related disconnect between our nation's stated moral principles and social realities, and assessing how U.S. citizens of all races can take individual action to start the long-needed healing process. The contributors to this work present interdisciplinary perspectives and discussions on American history, politics, philosophy, and 21st-century psycho-social conditions as they relate to the oppression, social injustice, and racism that have occurred—and continue to occur—in the United States. The discussions allow readers to grasp the serious challenges at hand and direct them towards recognizing the potential for conflict transformation and reconciliation through a non-conventional co-created Truth, Reconciliation, and Peace Process (TRPP) to begin resolving America's dysfunction. This is essential reading for anyone who seeks to understand the sources of perpetual racially based conflict, disparity, and hatred in the United States; identify the social injuries of exposure to centuries of racism; move America towards harmonious interracial relationships; and improve its international standing as a peace-building nation that is truly committed to human rights throughout the world. Dr. Imani Michelle Scott is a scholar and consultant in the areas of human communication and conflict analysis and resolution. She is also a frequent public speaker on the topics of building resilience, improving race relations, and surviving domestic violence. Dr. Scott holds a doctorate in Conflict Analysis and Resolution from Nova Southeastern University, a master’s degree in Communication Studies from Montclair State University and a bachelor’s degree in Communication Arts from Florida Atlantic University. In addition to having her work published in numerous scholarly journals and peer-reviewed books, Dr. Scott is editor of and contributing author to Crimes against Humanity in the Land of the Free: Can a Truth and Reconciliation Process Heal Racial Conflict in America? ; co-editor and contributing author to the soon-to-be released, Routledge Companion to Peace and Conflict Studies; former contributor to Huffington Post and an award-winning writer. As a frequent guest speaker and workshop facilitator, Dr. Scott has shared the national and international stage with esteemed civil and human rights activists, and worked fervently to advance the causes of peace, social justice and equity throughout the world. Committed to engaging and empowering individuals at the local and grassroots levels, Dr. Scott hosts community-based workshops for civic, non-profit, and faith-based organizations on topics related to transformational conflict and resilience, intercultural communication, race relations, and domestic violence. Her writing, research and speaking interests also include interpersonal and community-based conflict and violence (school violence and police violence); oppression-related trauma; relationship building, and the consequences of systemic racism. As a Professor of Communication for the internationally-acclaimed university for creative careers, the Savannah College of Art and Design (SCAD), Dr. Scott teaches courses in Intercultural Communication and Public Speaking and serves as Faculty Advisor to the Black Student Association. She is on the Board of Directors of the American Association of Blacks in Higher Education (AABHE) where she also serves as Membership Chair, and a member of the Speakers Bureau for the Women’s Resource Center to End Domestic Violence in DeKalb County, GA. She is currently a member of AABHE, the National Action Network, the National Association for the Advancement of Colored People, and Delta Sigma Theta Sorority, Inc.
Dr. Scott has served on the Board of Directors for the National Association of African American Studies and Affiliates, the Advisory Board of The Truth Telling Project, and held membership in the Association for Conflict Resolution, the National Communication Association and the American Association for University Professors. Dr. Brown, a native of Chicago, Illinois, received a bachelor of arts degree in psychology from Spelman College, and master’s and doctoral degrees in cognition and development from Emory University. Her postgraduate studies have been dedicated to exploring autobiographical memory development in children and its impact on various aspects of memory performance and identity development. Dr. Brown’s research interests also include the influence of stress on memory, general identity development, and racial identity development. Currently, Dr. Brown is a professor at the Savannah College of Art and Design’s Atlanta campus, where she teaches Introduction to Psychology, the Psychology of Self, and the Psychology of Group Processes. Yes, I am interested and available for guest lecture, panel discussion and other presentations opportunities. Sean Byrne is Professor and Director of the PhD and Joint MA Programs in Peace and Conflict Studies (PACS), and Director, Arthur V. Mauro Centre for Peace and Justice, St. Paul’s College, University of Manitoba. He founded the Mauro Centre and the PACS Ph.D. Program with Jessica Senehi. They cofounded the Joint Master’s PACS Program with Anna Snyder, Brian Rice and Dean Peachey of the University of Winnipeg. His current research interests include: ethnic conflict resolution, economic aid and peacebuilding in protracted ethnic conflict, children and war, women and peacebuilding, human rights, international peacebuilding, violence intervention and prevention, and third party intervention. Dr. Creque holds a doctorate from Emory University and serves on the faculty of Morehouse College as an associate professor of English. Her research and writing center on the cultural history of the African diaspora as it is manifested in dance and literature. Dr. Creque has made literary contributions to a number of anthologies and journals, including the Journal of African Literature and College Language Association Journal. Dr. Gaskew is an associate professor of criminal justice and director of the Criminal Justice Program at the University of Pittsburgh (Bradford). He is a Fulbright Hays Scholar, an FDD Academic Fellow, and a University of Pittsburgh Faculty Diversity Fellow. He is the chair of the President’s Advisory Board on Diversity and the board president of the Consortium of Educational Resources on Islamic Studies, and serves as a Human Dignity and Humiliation Studies (HumanDHS) research team member. Dr. Gaskew has been actively involved in creating postsecondary prison education initiatives at the federal Bureau of Prisons (BOP) since 2007. In 2010, he received the Volunteer of the Year Award from (BOP) FCI McKean. He is the author of numerous publications, including the books Policing Muslim American Communities (2009) and Rethinking Prison Reentry: Transforming Humiliation into Humility (2014). Dr. Gaskew is a former police-detective at the Melbourne Police Department, where he was assigned as a 10-year member of the Department of Justices, Organized Crime Drug Enforcement Task Force (OCDETF). Dr. Hansen is the Director of the Graduate Program and an Associate Professor in the Department of Conflict Analysis and Dispute Resolution at Salisbury University. He was previously an Assistant Professor at Nova Southeastern University’s Department of Conflict Analysis and Resolution, in Florida. He earned his PhD in Social Work from the University of Minnesota and a Master’s degree in Conflict Analysis and Resolution from Nova Southeastern University. Toran has research interests in restorative, transitional, and social justice, conflict transformation, peace, and approaches to dialogue. He has written scholarly articles and chapters on a variety of subjects related to these interests including: regenerative justice, victim-offender (humanistic) mediation, truth and reconciliation commissions, critical approaches to conflict resolution, narrative mediation, inter-organizational network facilitation, community organizing in social movements, social capital, holistic peace, and evidence-based conflict management practice. He is the author of The Generalist Approach to Conflict Resolution. Ms. Hollingsworth received her Bachelor of Science degree in communication studies from Georgia Southern University and a master of arts degree from The University of North Carolina at Greensboro. She is currently a doctoral fellow in the communication studies department at Southern Illinois University. Her research interests include social movements, social change, political communication, and community engagement. Dr. Jovanovic is a professor of Communication Studies at the University of North Carolina, Greensboro. She introduces students to community initiatives and activist strategies by collaborating with grassroots efforts to reclaim democracy through dialogue and action, with particular attention to advancing cultural understandings and social justice. She is the author of the award-winning book, Democracy, Dialogue and Community Action: Truth and Reconciliation in Greensboro (2012) and dozens of articles and book chapters on ethics and justice in the public sphere. She has served as a subject matter expert for the U.S. Department of Homeland Security and the North American Participatory Budgeting Research Board. She is the editor of Partnerships: A Journal of Service-Learning and Civic Engagement. For more details, see: https://cst.uncg.edu/faculty-and-staff/jovanovic/. Dr. King is an assistant professor of sociology in the Department of Sociology at Morehouse College in Atlanta, Georgia, where he teaches courses on masculinity and families. He also teaches an Africana Families course for the Morehouse Pan-African Global Experience (MPAGE), a study abroad program in Ghana. Dr. King’s research has covered father figures in Black America and interreligious Akan families in Ghana. He is currently finishing a study on race and marital behavior among American Muslims, continuing to help build a digital archive on African American Muslim history, and starting a study on African American Muslim childrearing strategies. Dr. Litwin is an associate professor in the College of Health Care Sciences at Nova Southeastern University in Fort Lauderdale, Florida, where she earned her doctorate in conflict analysis and resolution. Her areas of expertise include cultural diversity, organizational behavior, conflict analysis and resolution and gender issues. She has extensive experience in healthcare administration and has presented original research at numerous national and international conferences. She is the author of Playing on the Boy’s Team: Success Narratives of Executive Women in Healthcare (2012) and A Conceptual Framework for a Multi-Factor, Multi-Level Analysis of the Origins of Workplace Violence (2002). Dr. Jamila S. Lyn earned her doctorate in English from Georgia State University and teaches composition, research writing, and world litera­ture at Morehouse College. Her research interests include the depiction of black women in literature/film, the construction of black manhood, and pop culture criticism. Awarded a UNCF/Mellon Faculty Doctoral Fellowship, Dr. Lyn’s dissertation research focused on James Baldwin’s unique spatial theory and the emergent conversation on democracy in Giovanni’s Room, Tell Me How Long the Train’s Been Gone, and If Beale Street Could Talk. She is a New York native and Phi Beta Kappa graduate of Trinity University, in Washington, DC. Dr. Neal completed his undergraduate degree in religion andphilosophy at Morehouse College. He earned the top average in religion, which garnered him a full scholarship to Mercer University’s McAfee School of Theology. During this period, Dr. Neal concentrated his studies in the areas of philosophical theology and political philosophy. His capstone thesis was entitled “Transforming Community Consciousness.” After leaving Mercer, Dr. Neal earned his doctorate in Humanities from Clark Atlanta University, where his studies focused on African American philosophy and religion. The title of his dissertation is “Common Ground: A Comparison of the Ideas of Consciousness in the Writings of Howard W. Thurman and Huey P. Newton.” Dr. Neal has presented papers at many major conferences, such as American Association of Religion, Philosophy Born of Struggle, and National Council of Black Studies, to name a few. His specialization areas areaesthetics, Africana philosophy and religious thought, critical theory, political philosophy, and philosophy of religion. Dr. Price is the director of the Insight Conflict Resolution Program at George Mason University's School for Conflict Analysis and Resolution. Her research focuses on developing a reliable, context-based method for reconciling systemic social conflict. In practice, she applies the Insight approach to conflict analysis and resolution to endemic social problems such as retaliatory violence, police legitimacy and the school-to-prison pipeline. Dr. Price received her doctorate in Conflict Analysis and Resolution from George Mason University, and earned her master of philosophy degree in reconciliation from the University of Dublin, Trinity College in Belfast, Northern Ireland. She completed undergraduate work at Reed College in Portland, Oregon. Dr. Imani Michelle Scott is a scholar, consultant, and specialist in the areas of human communication and conflict analysis and resolution. She holds a doctorate in Conflict Analysis and Resolution from Nova Southeastern University, a graduate degree in Speech Communication from Montclair State University and a bachelor’s degree in Communication Arts from Florida Atlantic University. In addition to having published in numerous scholarly journals and texts, Dr. Scott is editor of and a contributing author to the recently published book: Crimes against Humanity in the Land of the Free: Can a Truth and Reconciliation Process Heal Racial Conflict in America? (2014). Professor Scott is also a regular contributor to Huffington Post, an award-winning writer, a co-editor of the Companion to Peace and Conflict Studies Handbook (publication scheduled for 2019) and a frequent guest speaker at national and international symposiums on topics related to systemic racism, domestic violence, school violence, police violence, oppression-related trauma, resilience studies and intercultural communication. As a Professor of Communication for the internationally-acclaimed university for art and design, the Savannah College of Art and Design (SCAD), Dr. Scott teaches courses in Intercultural Communication and Public Speaking. 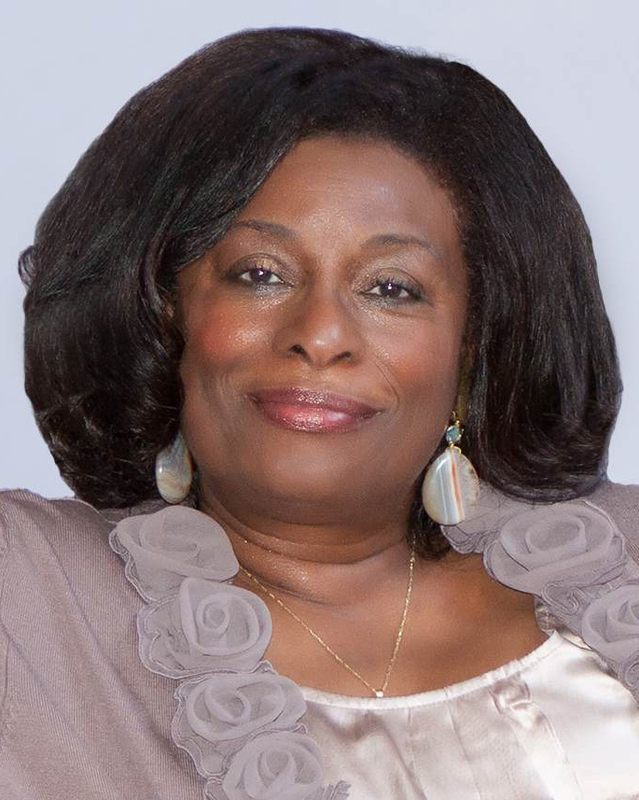 She is on the Board of Directors and Membership Chair for the American Association of Blacks in Higher Education and a member of the Speakers Bureau for the Women’s Resource Center to End Domestic Violence. Formerly, she has served on the Board of Directors for the National Association of African American Studies and Affiliates, the Advisory Board of The Truth Telling Project, and held membership in the Association for Conflict Resolution, the National Communication Association and the American Association for University Professors. She is currently a member of the National Action Network, the National Association for the Advancement of Colored People, The Fellowship of Reconciliation and Delta Sigma Theta Sorority, Inc. Yes, I am interested in and available for guest lecture, panel discussion and other presentations opportunities. Dr. Strahl earned her doctorate in conflict analysis and resolution from Nova Southeastern University. Today she serves as a consultant, educator, and mediator. Dr. Strahl is an experienced practitioner, mediator, facilitator, and professor who is nationally recognized for her dedication to the fields of peacemaking, conflict transformation, and restorative and social justice. Dr. Strahl teaches at the University of North Carolina Greensboro in the postgraduate Conflict and Peace Studies Program and at Nova Southeastern University in the doctoral Health Sciences Program. Involvement in the field of conflict resolution has led her to serve on numerous boards, including the National Association for Community Mediation (NAFCM), where she served two terms as board chair. She is a founding director for the Nevada Mediation Group. Dr. Bentley Gibson Wallace, a native of White Plains, New York, earned her bachelor of arts in psychology from Spelman College and her master’s and doctoral degrees in psychology from Emory University. Dr. Wallace’s master’s research focused on the development of African American children’s racial and gender identity and preferences. Her doctoral research focused on the unconscious (implicit) racial attitudes of African American children and young adults about their own racial group. Her main research goals are to determine what factors are associated with positive in-group attitudes in members of socially stigmatized groups. After graduate school, she decided to take a position as Assistant Professor of Psychology at Georgia Highlands College. The pervasiveness of racism in contemporary America. Colonialism as the foundation upon which the legacy of racism began. The consequences of institutional and structural racism in the U.S.
American racism since the elections of President Barack Obama. The necessity of addressing racism as a prerequisite for building a lasting peace. by Imani Michelle Scott, Ph.D. The basis and call for a truth and reconciliation process in the U.S. to address historical and contemporary oppression against African Americans. The unfinished business of the 2008 and 2009 Congressional apologies. The need for Americans to learn and courageously confront painful truths. The responsibility all Americans have to support a more united America. Recent examples of the deadly consequences of racism in the U.S. The addictive hold that racism has on Americans. The types of atrocities endured by African Americans for centuries in the U.S. The reasons financial reparations are not the solution to heal the wounds of racism. The failure of the United Nations to act. Evidence of heightened racial tension, discrimination and discord since the election of President Barack Obama. by Trina A. Brown, Ph.D. and Bentley Gibson Wallace, Ph.D. The psychological consequences of slavery and Jim Crow on African Americans. Communal trauma and group symptomatology. Racial identity development and self-esteem in children. The link between internalized negative stereotypes and academic achievement. The consequences of implicit race-based attitudes on physical health. Violence and victimization in the African American community. The role of government in collective healing. by Anthony Sean Neal, Ph.D.
by Mansa Bilal Mark King, Ph.D.; Cindy Lutenbacher, Ph.D. and Leah Creque, Ph.D. The instructive value several truth and reconciliation commissions (Canada, Greensboro, North Carolina, Mauritius, and South Africa) have for the U.S.
by Bini Litwin, Ph.D. and Barbara Timmons Strahl, Ph.D.
Failed attempts to atone for crimes against humanity in the U.S.
by Jamila Lyn, Ph.D. and Imani Michelle Scott, Ph.D.
This book by Imani Michelle Scott is a powerful and meaningful exploration of the issues of truth and reconciliation, and race and racism in America and beyond. If people want to have a clear understanding about what African Americans have experienced over the years and how we are willing to have a true discussion on race and racism, then this book is a must read. Enjoy every page, every sentence and every word; in them, you will find a sense of history as well as some enlightening guidelines about the future. This new collection of work does an excellent job of presenting social, historical, political, ethical, moral, psychological, judicial, cultural and practical evidence to support its call to action. Keynote Address - Walking on eggshells: Exploring the causes and consequences of PACS’ timidity in addressing social injustices related to race and power in the U.S. The Center for Conflict Studies at the Middlebury Institute of International Studies in DC; co-sponsored by the Alliance for Peace building and the United States Institute of Peace. No Justice: no reconciliation - The impact of the just world hypothesis on race and social justice in the U.S.
What is Truth and why does it matter? Truthtelling for peacebuilding. Friday, March 13, 2015 9:00 a.m.
Tuesday, January 20, 2015 4:00 p.m.
Sunday, November 9, 2014 2:00 p.m.
Wednesday, October 22, 2014 5:30 p.m.
Sunday, October 5, 2014 3:00 p.m.
Friday, September 26, 2014 2:00 p.m.
Peace Begins with Truth (PBT) community-based workshops are designed to have persons who share communal spaces enjoin in contemplating and seeking local resolution to the often painful and complicated consequences of racism, racial conflict, and social injustice. The concept for Peace Begins with Truth workshops is based on the belief that all humans are created equally, and that by virtue of sharing the gift of life with other humans we have a shared, collective responsibility: 1) to build and maintain a society where each person’s existence is rendered the utmost respect; 2) to value and support different worldviews based on cultural backgrounds and historical realities, and 3) to cultivate an existence where harmonious, equitable, and peaceful human interactions are the enduring principles upon which practices, programs and policies are established. II. Engage participants in devising the best ways in which they and others might employ the concepts of truth, peace and justice as the basis for actively working to transform social conflict, reconcile differences, and build harmonious communities. To best accommodate the interests of distinct groups and empower the local ownership of workshop outcomes, each Peace Begins with Truth module is custom-designed to accommodate the specific interests, concerns and needs of localized populations. Given that community needs, interests and resources will vary, workshops may be offered in one of three different formats: Module I – two-three hours; Module II – one full day; Module III – two full days. The impact of race and racism on America’s past and present * The Just World hypothesis *Identity and identity conflict * The politics of memory, knowledge and peacebuilding * The constructs and meanings of truth, peace, race, justice, and empathy * The pursuit of apology, forgiveness and reconciliation * The realities and consequences of oppression on the oppressors and the oppressed * The role of the hegemony * Collective, social responsibility * The power of perceptions and biases * Systemic racism * White privilege * Peacebuilding and reconciliation in other locales * Moving forward. (Note: content may be added and/or deleted based on the pre-workshop assessment and selected Module). Valuing outcomes related to honoring indigenous knowledge and employing elicitive and problem-posing methods (see the work of John Paul Lederach and Paulo Freire, respectively), PBT workshops are highly-interactive and include: Presentations, discussions, case studies, storytelling, role playing, videos, group presentations, brainstorming and journaling. 1. Engage in honest self-reflection. 2. Explore the consequences of individual and collective perspectives. 3. Respectfully and actively listen to the opinions and perspectives of others. 4. Learn new information and accept new ways of seeing and being in our world. 5. Openly express thoughts and concerns. 6. Support the maintenance of a respectful, amiable and productive workshop environment. - The workshop module selected and a base, per participant rate of $50 (non-profit organizations); $75 (profit generating corporations). - Provisions for space, seating, refreshments and projection equipment by the hiring organization or corporation. Dr. Imani Michelle Scott is a scholar, consultant, and specialist in the areas of human communication and conflict analysis and resolution. She holds a doctorate in Conflict Analysis and Resolution from Nova Southeastern University, a graduate degree in Communication Studies from Montclair State University and a bachelor’s degree in Communication Arts from Florida Atlantic University. In addition to having published in numerous scholarly and popular texts, Dr. Scott is editor of and contributing author to Crimes against Humanity in the Land of the Free: Can a Truth and Reconciliation Process Heal Racial Conflict in America? ; co-editor and contributing author to the soon-to-be published, Routledge Companion to Peace and Conflict Studies; former contributor to Huffington Post; an award-winning writer, and a frequent guest speaker and workshop facilitator on topics related to systemic racism, domestic violence, school violence, police violence, oppression-related trauma, resilience studies and intercultural communication. As a Professor of Communication for the internationally-acclaimed university for art and design, the Savannah College of Art and Design (SCAD), Dr. Scott teaches courses in Intercultural Communication and Public Speaking and serves as Adviser to the Black Student Association. She is on the Board of Directors of the American Association of Blacks in Higher Education (AABHE) where she also serves as Membership Chair, and a member of the Speakers Bureau for the Women’s Resource Center to End Domestic Violence in DeKalb County, GA. She is currently a member of AABHE, the National Action Network, the National Association for the Advancement of Colored People, and Delta Sigma Theta Sorority, Inc.
Book calls on U.S. Congress to act on its 2008 and 2009 apologies to African Americans by addressing links between present-day racial conflict and centuries of American racism. ATLANTA, December 5, 2014 – In Imani Michelle Scott’s recently released book, Crimes Against Humanity in the Land of the Free: Can a Truth and Reconciliation Process Heal Racial Conflict in America?, a collection of north American scholar-activists propose the implementation of a U.S.-based, government-sanctioned Truth, Reconciliation, and Peace Process (TRPP) to deal once and for all with centuries of American racism. This “all hands on deck” approach to confronting and ending American racism advises that many lessons can be learned from a national investment in the types of programmatic measures employed by international truth and reconciliation processes. Ironically, the impetus for such processes begins with what the U.S. Congress did in 2008 and 2009: issued governmental apologies for crimes against humanity. Scott noted it ironic that the U.S. has mandated truth-seeking, truth-telling and reconciliation measures in other nations where atrocities are presumed to have occurred but has not done so within its own borders. Scott, who holds a doctorate in Conflict Analysis and Resolution, expressed pointed concern that contemporary incidents of black-white violence re-traumatize Americans and reflect deep-seated core issues of black-white fear, anger, and hatred. Can a Truth and Reconciliation Process heal Racial Conflict in America? ATLANTA, Sept. 23, 2014 – Author Imani Michelle Scott’s recently released book, Crimes Against Humanity in the Land of the Free: Can a Truth and Reconciliation Process Heal Racial Conflict in America?, offers an unprecedented examination into enduring racial disparities and tension in the United States and proposes the implementation of a non-conventional, co-created Truth, Reconciliation, and Peace Process (TRPP). Endorsements Pour in for New Book Addressing Oppression and Racial Conflict in the U.S. This recently released book offers an unprecedented examination into enduring racial disparities and tension in the United States and proposes the implementation of a non-conventional, co-created Truth, Reconciliation, and Peace Process (TRPP). “To be sure, our work is not finished and we have our own problems. But when we began as a nation, our Founders knew that, and called us always to the work of forming a more perfect Union“.